Our AAR-approved Air Brake Shop is one of the largest privately owned shops in the country. We have the capability to repair most component parts of the air systems of freight cars as well as locomotives and passenger cars. Our extensive inventory gives us the opportunity to offer valves, hoses and components parts to our customers on an Outright Sale, Unit Exchange, or Repair & Return basis and in a timely manner. 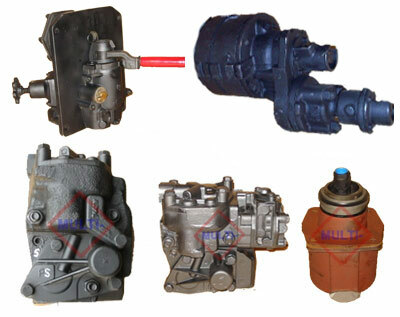 In addition, Multi-Service Supply is also heavily involved in new, used and reconditioned car parts and components. We may be able to supply your needs through used or reconditioned components at a considerable cost savings. All work practices, parts and components, etc., are always in full compliance with AAR requirements. Per OEM Repair Track Maintenance 2391 Series: Prior to shipping, all used freight control removed from cars must have shipping covers and shipping protection applied. For service portions, this includes stem guards. For emergency portions, this can be vent protector plugs or tape applied to the integral vent valve. Additional shipping covers, guards and protector plugs can be shipped with your order. Please contact sales staff for details.